b-Bets Casino Review – 100% up to €/$ 250 plus 100 Free Spins! 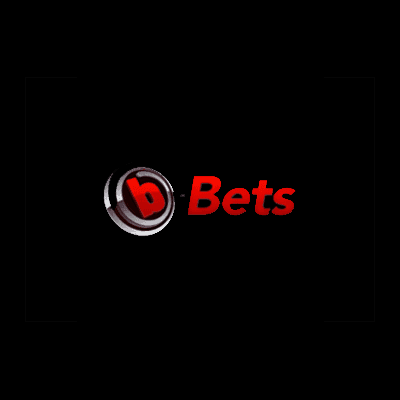 We’re delighted to present to you b-Bets online casino, a fresh and innovative online casino and bookmaker that began in 2014. It’s name comes from its unique auctions that allow players to bid on special offers and in fact, bonuses too. This multi-platform online casino features many different ways to play in a convenient instant play interface, enjoy the slots, virtual and live table and card games and hundreds of other games by NetEnt, Microgaming, Betsoft, Tain Games, Quickspin, iSoftBet and more. At b-Bets, there is a very generous and irresistible Welcome Bonus offer waiting for you! The regular Welcome Bonus is a minimum deposit of €/$ 10 and you’ll receive a 100% match bonus up to €/$ 250! You will also get 100 free spins, 20 per day for five days, to be enjoyed on a charming slot game Fruit Spin. But because b-Bets online casino is different and quirky, you also receive 100 BidBets which can be used to win even more bonus money, tournament tickets, freespins and other valuable items at the bonus auctions. BidBets is the internal currency used to place bids on bonus items and they are received for not only the Welcome Bonus but also for ongoing promotions. Each and every €/$ you spend at b-Bets online casino earns you BidBets! Launched in December 2014, b-Bets has grown to provide a top list of online casino games, a sportsbook and a novelty feature, virtual scratch cards! The Welcome Bonus at b-Bets online casino is made up of a 100% match up to €/$ 250 plus 100 free spins and 100 free BidBets that can be used for the auctions. When you decide to register at b-Bets casino and make your first deposit, the bonus is instantly available and you can start playing straight away. The bonus uses a standard bonus structure with funds being locked from the moment they are deposited until all the wagering requirements are met. In fact, b-Bets lets its players choose from one of three Welcome bonus offers and you can easily accumulate up to 1250€ and 175 free spins across three deposits. Over and above the traditional Welcome Bonus you can also receive a 120% bonus match up to a maximum of 250€, and 20 free BidBets. There’s also a 400% bonus match on a deposit of 10, which means that if you opt for this offer, you deposit 10 and start spinning the reels with 50€ in your account. To make it easier for you to understand exactly how these offers work, b-Bets has created a helpful “getting started” FAQ section also carries extra information. Always read the Terms and Conditions before accepting any promotion. Besides the bonus auctions and the welcome bonuses, you can also take part in a variety of recurring promotions to grab even more bonus money, free spins, additional BidBets and much more. Traditionally, a wagering requirement is the amount of times a player has to wager the bonus money before being allowed to make a cash withdrawal and at b-Bets the deposit and bonus must be wagered 30 times. Each time you spin the reels on the slot games or play Bingo and Keno, you’re contributing to your wagering requirements. Slots contribute 100% towards meeting the requirements and the more you play, the quicker you’ll meet these requirements. Video poker contributes 15%, Roulette, live and table games contribute 10% and all other games contribute 20%. 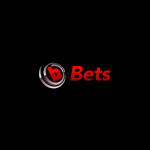 However, unlike traditional online casinos, b-Bets has an interesting variation. At this casino, you can decide to withdraw your money even if you have not yet fulfilled your wagering requirements completely. For example, if you’ve fulfilled 80% of your wagering requirements, then you can withdraw this amount! b-Bets offers many different bonuses, special promotions and their very unique bonus auctions. In fact players can choose between various bonus offers and it’s well worth having a closer look at your choices. Always read the Terms and Conditions before making a decision. To ensure your information is in safe hands, SSL encryption is used throughout the website. Over 200 irresistible games made up by a multitude of software providers will have you logging in again and again and again! If slots is what you enjoy playing most, then you’ll be ecstatic to know that many popular themes and titles available to play. Try Mad Mad Monkey, Leprechaun Goes Egypt, Break Da Bank Again, Clash of Queens or the very new and very popular Guns N’ Roses slot game. If you feel like taking a break from the slots and venturing deep into casino waters, you can play a selection of low and high limit games from French roulette, Blackjack, Baccarat, Caribbean Stud, Punto Banco or Texas Hold ‘Em. For some fun variations try Double Exposure Blackjack, Red Dog Progressive, Oasis Poker and Multi-Hand Premier Blackjack Gold. Although it’s been said that scratch cards aren’t as popular as they once were, at b-Bets Casino this is simply not true! When you feel like trying your luck at the scratch cards, you can choose from a number of scratch cards like 7 Gold Scratch, Beer Fest or Triple Win. And if hundreds of slot games, 3D slots, table games, video poker and scratch cards aren’t enough, the casino also offers some unusual games like Bonus Keno, Premier Racing, a horse racing game, Super Bonus Bingo and of course, a Live Dealer casino. At b-Bets, the live casino room is broadcast in real-time, this means you can observe the other players or chat to the dealer. It’s a truly immersive experience that is highly recommended if you enjoy table and card games. On the flip side of the coin is the sportsbook, and this section of the casino has a very immersive interface that really lets you be a part of the play. Follow your favourite sports and bet on them live while the game is still happening. b-Bet casino offer a great destination for mobile on the go gaming. They combine the best slots, Jackpots, Live casino and table and card games and you’ll be spoilt for choice. Available to Android and iOs devices, there are 350 games available that can be played on the go from the casino’s browser. There is no dedicated app as yet, but you won’t need it. With 320 slot games, 10 table games including a lobby filled with live and online casino games like Blackjack, Roulette, Baccarat and Poker and 20 Jackpot games, you’ll find b-Bets online casino offers more than enough choice for great gaming! b-Bets Casino holds gambling licenses from the Malta Gaming Authority and Curacao Gaming. These days with so many online casinos on offer, it’s best to ensure that they run a top notch encryption on their website pages. 24Bettle Casino has complied with the industry standard for protecting sensitive information and their website pages run SSL encryption technology guaranteeing the safety of your personal and financial information. One of the most important aspects of online casinos is the level of customer service offered and friendliness and professionalism is often overlooked in many places. The support team at b-Bets is the pinnacle of professionalism and dedication and they show that they really do care about their players. You can get hold of the team through email where your reply will reach you within 24 hours or less or via their live chat which is available 7 days a week from 12:00 to 00:00. For VIP players there’s also phone support and a call back service at your disposal. Bets is offered in multiple languages, English, German, Finnish, Swedish, Spanish, Portuguese and Norwegian. b-Bets with its old world charm, hundreds of top games and excellent customer services team is a success and well worth a visit. It’s a very secure website, well licensed and encrypted and we have no doubt that you’ll enjoy it so much, you’ll keep going back for more.